If you have been casually perusing the Internet throughout the course of the day and have yet to come across a PUBG Mobile headline then we are extremely proud to break that lull. After all, a PUBG Mobile story a day keeps the doctor away. Or something like that. Today’s news is that the official global 0.4.0 release notes have been posted, which is great, but it’s not all good news! So, let’s take a little bit of time for a quick PUBG Mobile recap. The version of the game sitting in Chinese app stores was a number of versions ahead of the global English version. Global version 0.4.0 has been teased in an official and non-official capacity for quite some time with the eventual rollout beginning yesterday. Under normal circumstances, that would be wonderful news for passionate PUBG Mobile gamers. 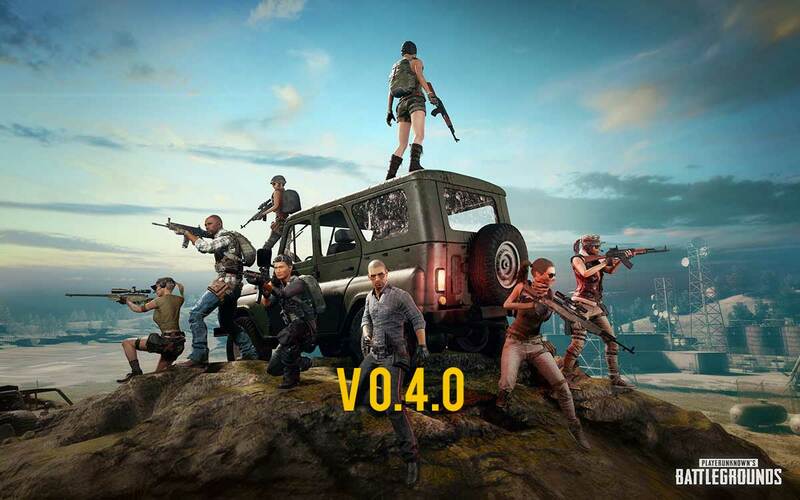 However, it seems that all is not as expected, with the global o.4.0 release differing to the 0.4.0 release which was pushed out to the Chinese market in the first instance. According to some inquisitive users who have inspected the 0.4.0 release thoroughly, this latest global release doesn’t come with the 60 frames-per-second increase that was expected or the array of new graphics settings. It has also been noticed that there is no slider on 8x scope functionality inside of the game. You can fully understand the frustration of some who simply wanted a performance improvement to make the game more enjoyable. If you are an Android user, then the 0.4.0 rollout should be in the process of propagating through as we speak. 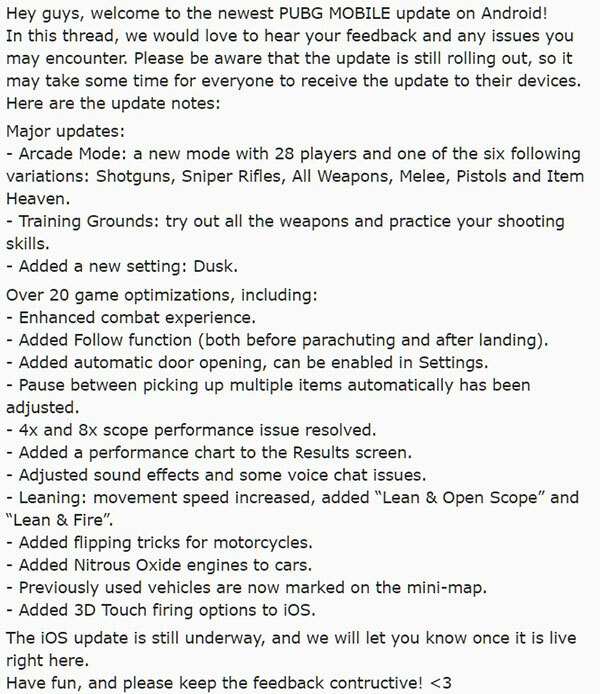 The iOS update will follow soon after.